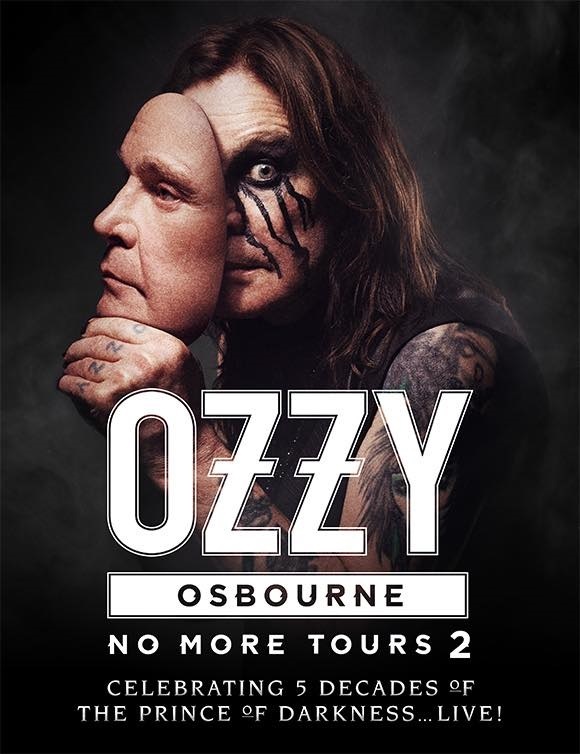 Ozzy Osbourne has announced the first series of dates for his extensive three-year farewell tour. The rocker will appear at a pair of festivals in Florida – including Jacksonville’s Welcome To Rockville and Fort Lauderdale’s Fort Rock before officially launching the “No More Tours 2” farewell run with shows in Mexico and South American in May. A six-week European trek will begin in Moscow, Russia on June 1 ahead of a full North American tour with Stone Sour that opens in Allentown, PA on August 30. Celebrating five decades of music since the 1970 release of Black Sabbath’s self-titled debut album, Osbourne will be joined for the tour by longtime collaborators Zakk Wylde on guitar, bassist Rob "Blasko" Nicholson, drummer Tommy Clufetos and keyboardist Adam Wakeman. "I've been extremely blessed to have had two successful music careers," says Osbourne. "I'm looking at this final tour as being a huge celebration for my fans and anyone who has enjoyed my music over the past five decades." A Citi card members presale runs from Wednesday, February 14 at 10:00 a.m. local time until Friday, February 16 at 10:00 p.m. local time through Citi's Private Pass program, with general public seats available Saturday, February 17 at 10:00 a.m. local time at LiveNation.com and through the Live Nation app. Osbourne has partnered with Ticketmaster to spread the word about the tour with a new message on the Ticketmaster app for the Google Assistant on phones, speakers like Google Home and other compatible devices. Fans can trigger the app by saying, "Hey Google, talk to Ticketmaster," which will offer special messages from Ozzy.